Our safety solutions are world-renowned and recognised across the industry. We are proud that our innovative approach to workplace safety has seen us win numerous high-profile awards. The iF Design Awards identify outstanding achievements in design and are recognised as a symbol of design excellence around the world. The Flex Impact® column & corner protectors range impressed the iF Design Awards judges with its innovations in modularity and safety performance. 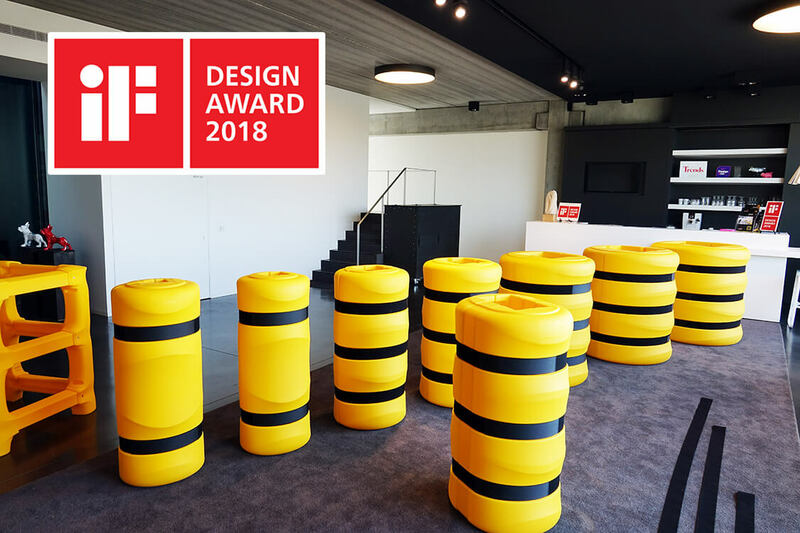 After recently winning the regional Design X50 award, this iF Design Award shows at a global level how the new FLEX IMPACT® column protectors manufactured by Boplan excel with their looks and effectiveness. In a wide range of work environments worldwide a major amount of damage is caused globally by collisions. BOPLAN column protectors provide ideal protection for column, pillars and shafts. With FLEX IMPACT® column protection, you can not only prevent costly damage to your buildings and vehicles, but the driver is also better protected against injuries due to the unique properties of FLEX IMPACT®. Thanks to their absorbing power they eliminate almost all risk of damage and by doing so safeguard the structural integrity of your columns. Boplan offers you protection to suit columns of every size. Thanks to a wide range of diameters for the column protectors, the right protection can be fitted in every working environment. For 65 years the iF DESIGN AWARD has been a trademark for excellent designs worldwide. With 6,402 entries from 54 countries, the iF DESIGN AWARD has received a record number of entries in this jubilee year. All winners, including BOPLAN, were celebrated during the official ceremony, the iF design award night, on 9 March 2018. The breathtaking architecture of BMW Welt in Munich was also a unique setting for this event. Boplan Product Manager Tom Devoldere, together with a delegation from the design office PiliPili from Kortrijk, were, therefore, very proud to receive the award. 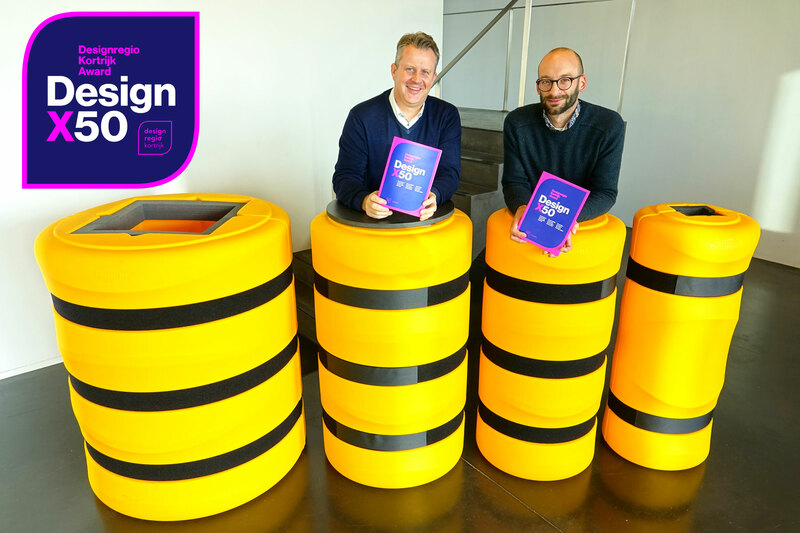 Since 2006 Designregio Kortrijk (Belgium) has been awarding the designers of the fifty most innovative and innovative products from the region every two years with a 'Design Region Kortrijk Award'. The winning designs are also published in the exclusive DesignX50 book. Boplan was at the party twice. 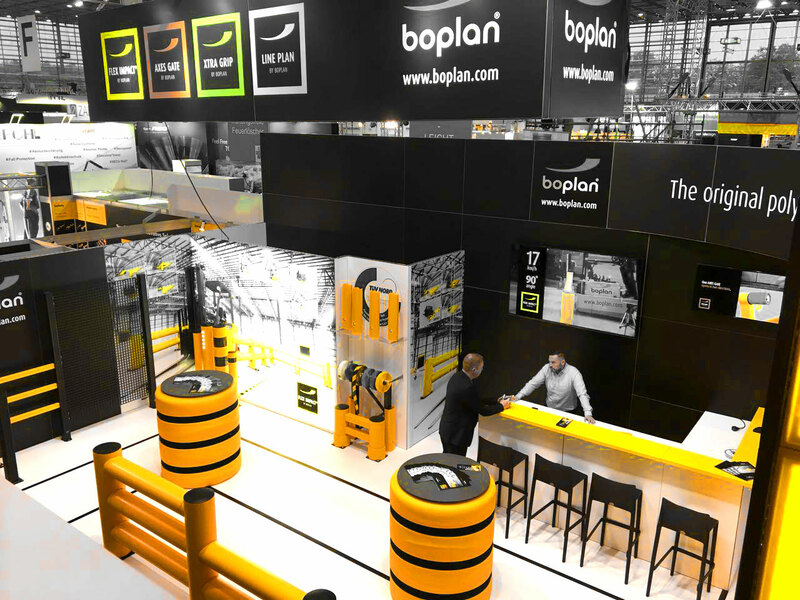 Boplan, with its home base Moorsele (Belgium), designs, develops and produces sustainable, efficient safety systems for demanding environments. The central goal is the protection of people, vehicles, buildings and infrastructure. Boplan works for customers such as Ford, BMW, Mars, Danone, Coca-Cola, Nestlé, Nike, Siemens and IKEA. "If you think about design, you probably do not think about industrial safety products," says Tom Devoldere, product manager at Boplan. "And yet Boplan has won prizes this year with those kind of products. Of course we are very proud of that, especially since we are the only manufacturer of industrial products among the winners. " The winning products are the 'Rackbull' rack protector and the 'KP' column protectors. The 'Rackbull' is a high-quality, impact-resistant protection for the racks of warehouse racks. In case of a collision by a fork lift truck, the 'Rackbull' will largely absorb the collision energy. In this way, physical injuries are prevented by rack collapses and the warehouse racks remain harmless. The 'KP' column protectors do more or less the same, but for columns, pillars and pillars in warehouses, production halls, airports and car parks. Both products are part of the FLEX IMPACT® series, a modular set of materials and tools for collision protection. "Safety in industrial environments is our core business," says Tom Devoldere. "When we have to make a trade-off between safety and design during the design phase of our products, safety always comes first - and with a big lead. In that respect, it was a pleasant surprise to us that the Designregio Kortrijk jury also tasted the 'form follows function' design of our products, "says Tom Devoldere. 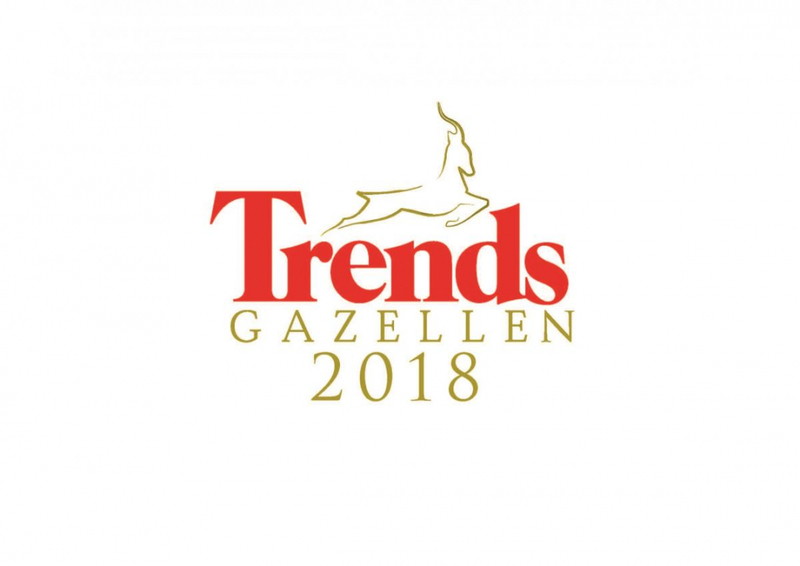 BOPLAN was nominated as Trends Gazelle for the 2nd year in a row by the editors of Trends. With its 2nd place, BOPLAN belongs to one of the 50 fastest growing small businesses in West Flanders, Belgium. In 2017 BOPLAN became 6th in the top 50 small gazelles. The fact that BOPLAN is known as a strong grower is also visible from the outside for many people in the region. Thanks to the recently completed new production hall of 5,400 m² along the E403. The entire site with a buildable area of ​​15.400m² has now been put into use. Together with a few state-of-the-art new fully automatic production machines and a lot of extra office space for even more new recruitments, growth is noticeable in many ways. Everything is in place so that these Trends Gazellen nominations can repeat themselves frequently in the following years. For more than three decades, Magazine Trends has been the leading financial-economic news magazine in Flanders, Belgium, with 61,630 copies per week. The Trends Gazelles are nothing but the fastest growers. Trends looks at the growth over the last five years. The growth of three variables is calculated: the turnover, the workforce and the cash flow, in absolute and percentage terms. Although minimum conditions apply. The company must be at least five years old. A minimum of twenty employees must have been on the payroll for large and medium-sized companies. Ten employees are sufficient for small companies. The turnover determines the distinction between a large, a medium-sized and a small company. The big ones had a turnover of more than 10 million euros, the medium-sized ones remained between 10 and 1 million euros and the small ones achieved a turnover or gross margin of less than 1 million euros. Boplan UK Ltd. recently received the "Award for Best Stand" at Health & Safety North partnered by The British Safety Council in The Bolton Arena, UK! Health & Safety North has been developed specifically to suit anyone responsible for health and safety at work within industrial, commercial or public sector businesses throughout the North of England. The industry's most respected voices come together to share fresh perspectives and educational content across three free to attend theatres, including The British Safety Council Conference. We're very proud & happy to be exhibiting! Boplan continues to test its products to the extremes in every kind of situation. Having acquired positive test results using the renown TÜV Nord labeled voluntary tests on multiple of its products such as RackBull rack protectors, Single and Double Axes Gates. Any customer following Boplan expert advice in choosing the right safety product for the right risk situation can be absolutely rest assured of workplace safety and high impact resistance results. Boplan has the scientific reports to support this.